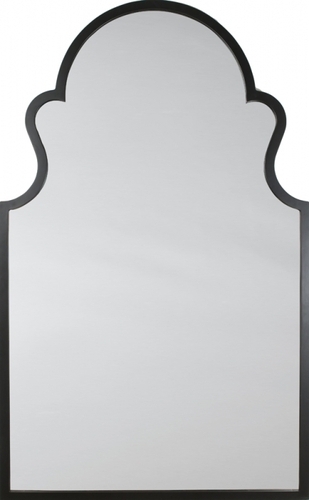 The Arch Wall Mirror in ebony finish is hand-carved and a timeless classic. This is a large mirror standing at 52" tall and even customizeable for a larger or smaller size! This arch mirror can be scaled up or down in size. Please contact us if you are interested. Additional charges and lead time apply. The Mirror Image Home residential line comes after working for many years furnishing high quality products to commerical builders and high end hotels. All sales are final on this item. No returns.